Kishore Tirumala, who shot to fame with Ram’s Nenu Sailaja has become most-sought after director in tinsel town. He has already finalized his next two films with actors Venkatesh and Nithin as leads. 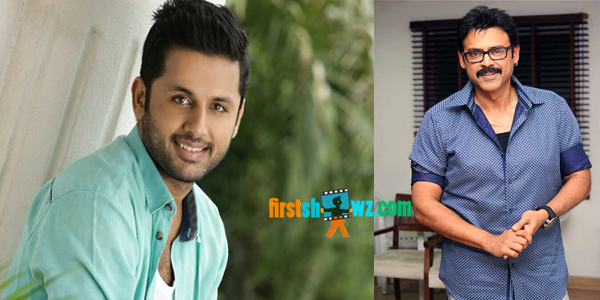 Confirming the news Nithiin said, “"Hi all..happy to announce that m doing a film with kishore tirumala (nenu shailaja) under SRESHTH movies..other details soon." Kishore Tirumala has also confirmed his film with Venkatesh, and said that he is delighted to work with a senior star. Venkatesh has given his nod for the project after listening to the script from the director. To be produced under Multi Dimension banner by Ram Mohan, Venkatesh-Kirshore Tirumala film will roll its cameras immediately after Venkatesh wraps Babu Bangaram under Maruthi's direction.